Canine massage can be offered for relaxation, rehabilitation, or competition or agility purposes. The benefit of massage to dogs is equivalent to the benefit experienced by humans. Massage therapy has many physiological effects for the dog or other small animal. Animal experiments were conducted as early as the 19th century to document these effects. 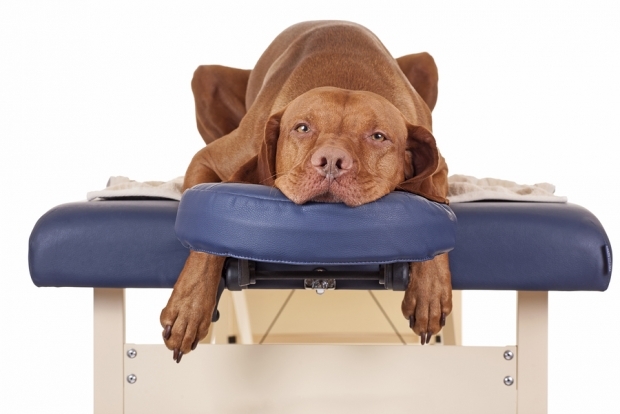 Canine massage therapy should not be used as a substitute for veterinary medical care. However, when used in combination with medical care, it can help enhance the recovery process in many medical cases. In addition, canine massage can provide emotional well-being for the animal. Massage therapist often work with animals to calm hyperactivity, anxiousness, and nervousness. The same strokes and techniques used in human massage are practiced in canine massage for the same reasons. Basically, there are five main techniques used in canine massage therapy – effleurage, petrissage, friction, tapotement, and vibration. All other strokes are derivatives of these basics. A commonly used exception is Range of Motion because it is not a stroke but movement of a joint. Although there are many different ways in which a canine massage therapist will conduct a session, all will use some method to assess the needs of the dog and develop an improvement plan for the animal. One of the most common methods is referred to as SOAP – Subjective, Objective, Assessment, and Plan. The therapist first records any Subjective information that is given to them by the dog’s owner. They will then record any Objective information that they observed about the dog during the treatment session. Objective information could include gait and postural analysis and levels of muscle tension. The third item that the canine massage therapist needs to consider is the Assessment information. The therapist will consider what massage techniques worked best for the dog and will often note any changes in gait or posture after the treatment session is complete. Finally, after the therapist has carefully considered all of the information, they will suggest a Plan to the owner to help the dog. Recommendations can include veterinary visits and owner homework, as well as follow-up massage sessions.